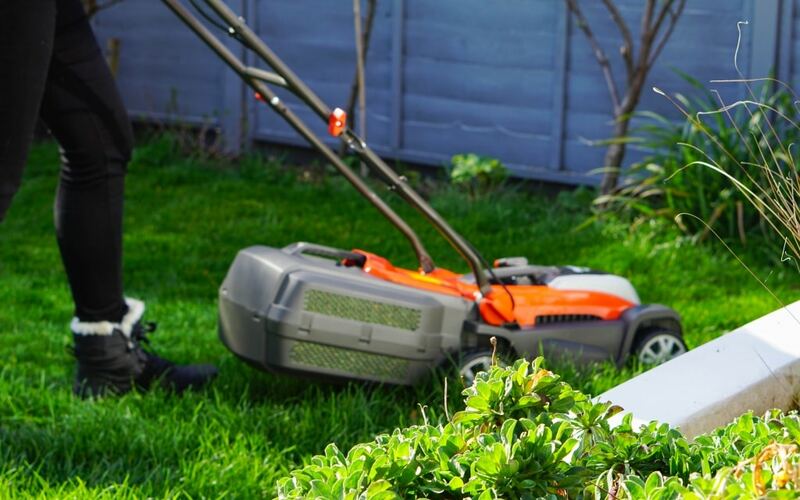 Who’s been outside and given the lawns their first cut already? 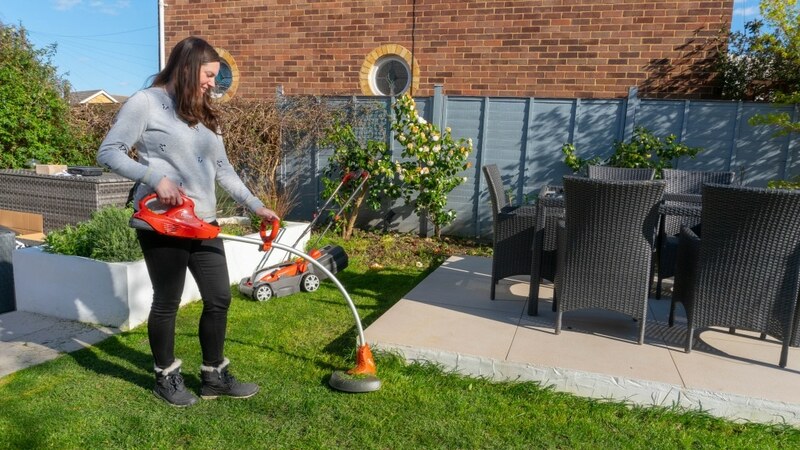 Flymo is celebrating today as First Cut Sunday and to mark this day I am showing you some fantastic cordless products from Flymo that will make maintaining your garden even easier. 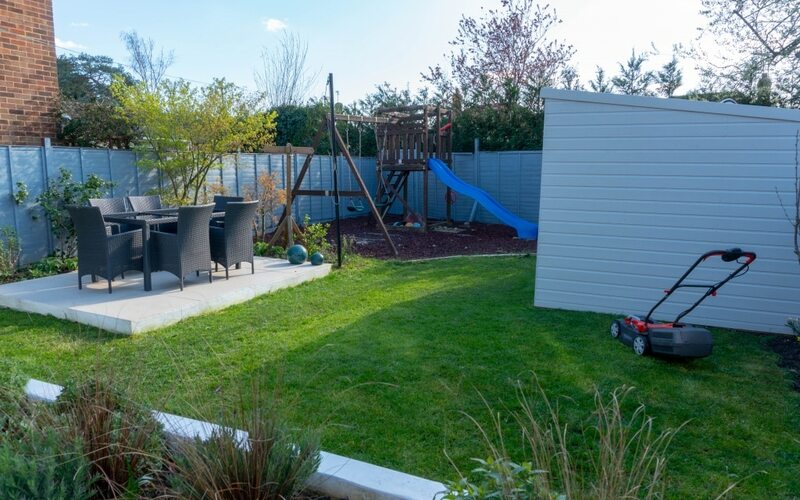 Having a nice garden is a bit of a commitment. I want to have beautiful space to relax in, pretty flowers to look at but I don’t want it to take hours each week to maintain. 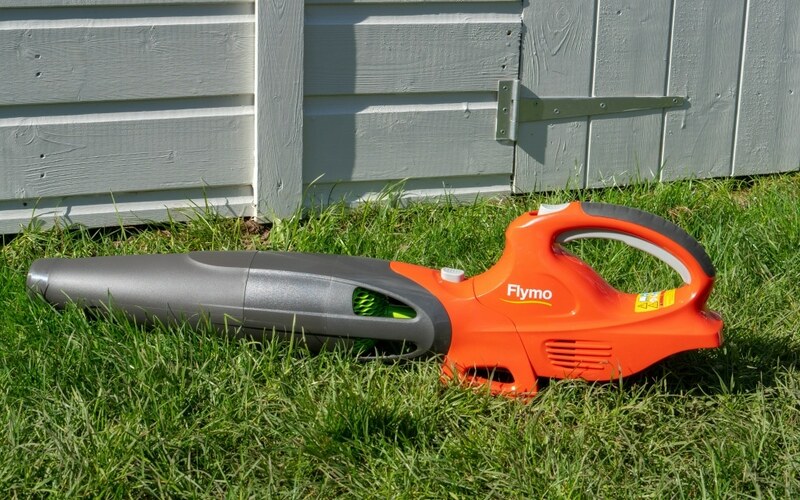 I usually have to wait until Kev has time to cut the grass and trim the hedge as the lawnmower is too heavy for me to use, but after trying out the new cordless Flymo products I can do it myself! This is going to make keeping on top of the garden so much easier. When I first got the Flymo Mighti Mo out of the box I was surprised by just how lightweight it is, it’s only 9.9kg with the battery. So I was easily able to lift it with one hand using the carry handle. There aren’t too many pieces either to put it all together, just attach the handle and cord clips and away you go! Just make sure you attach the handles around the correct way!! 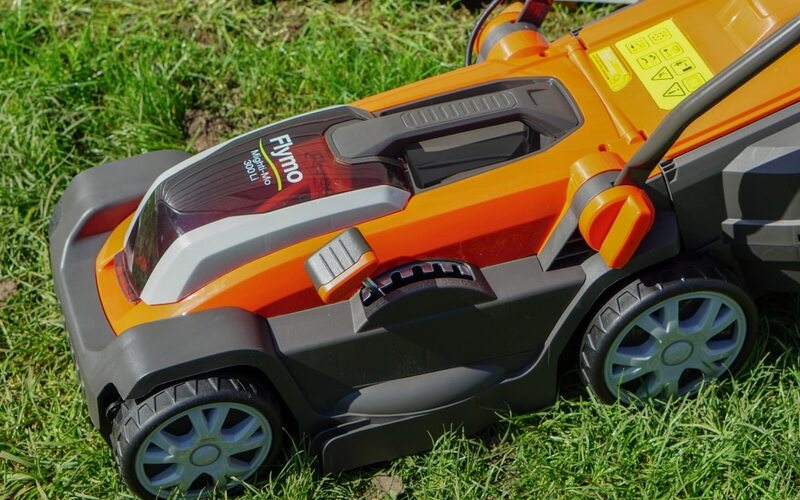 The Flymo Mighti Mo is cordless and powered by a 40V Li-ion battery which will give you enough battery power to cut around 250m2 (the size of the average tennis court) on only one charge. 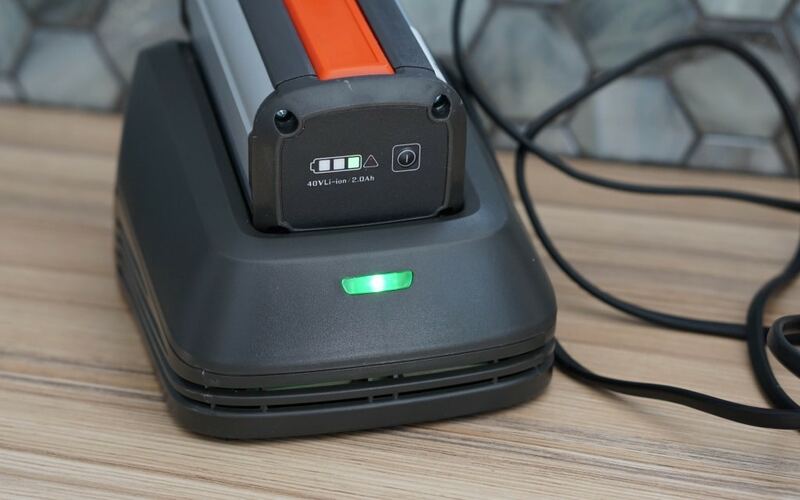 As soon as you get your battery out of the box get it charging, the amount of charge in the battery is indicated by the small lights on the bottom of the battery but takes approximately 120 minutes to charge. 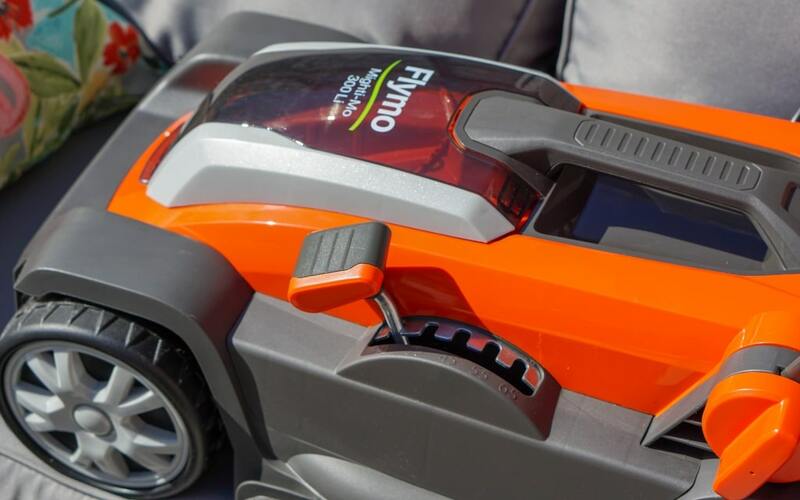 The battery and charger are included with the Flymo Mighti Mo as well. 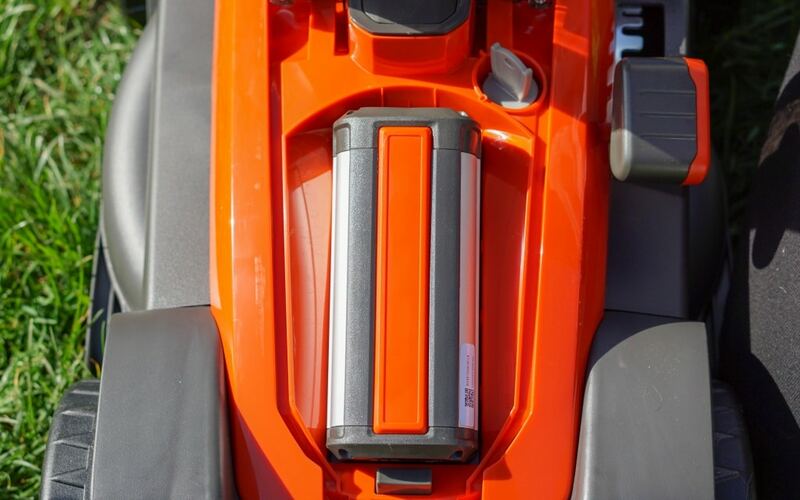 Inserting the battery is very easy and positioned on the front of the Flymo Mighti Mo. 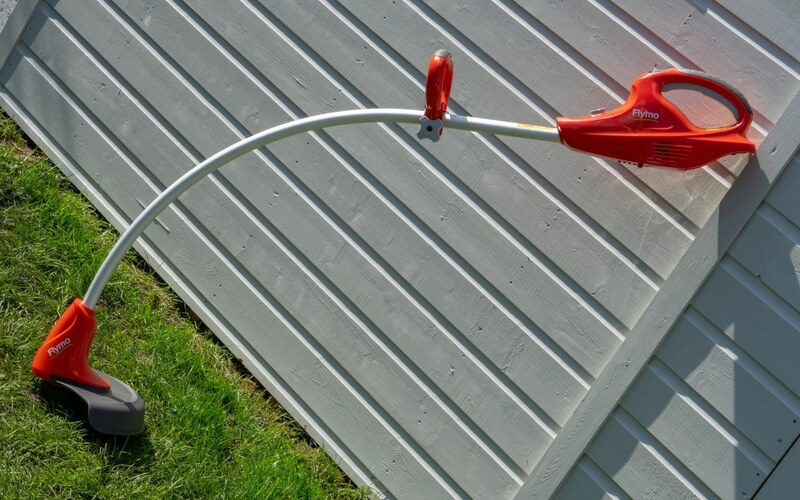 Flymo has thought about the safety of this as well and has included a small key that needs to be inserted and turned to allow the lawnmower to be turned on. You still have a two-step button pressing process to be able to start the lawnmower. I love this function. 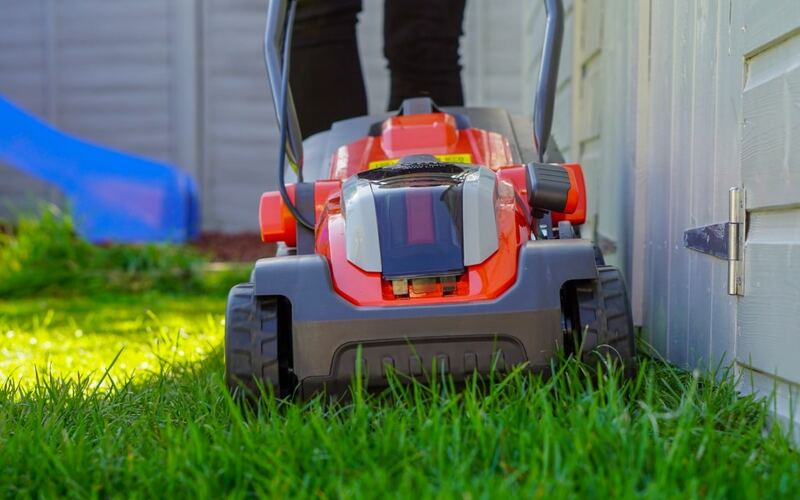 I am always worried about the cables and cutting through them when using normal lawnmowers, so not having any cables to worry about makes it a much more pleasant experience. 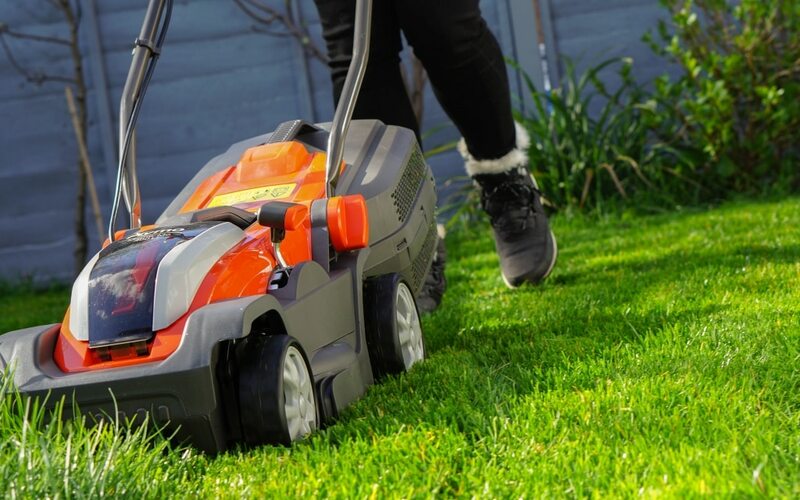 It also means your free to go anywhere with this lawnmower and not being restricted by the length of cable or staying near a plug. 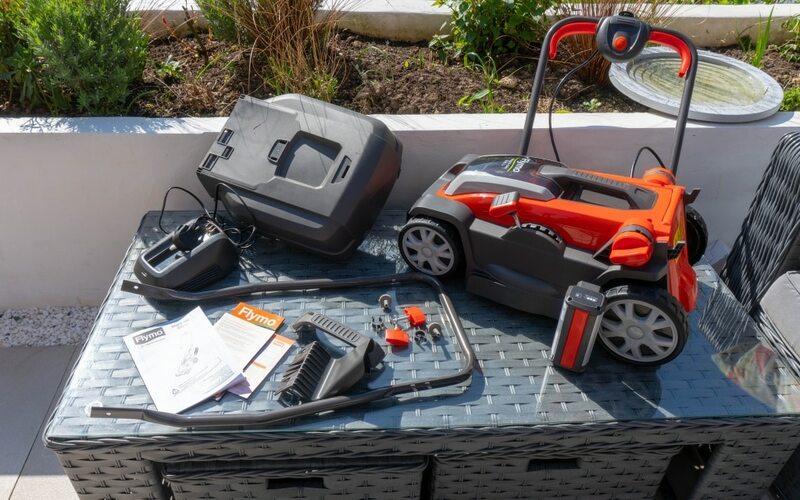 Of course with the freedom of a cordless comes with a little more risk with being able to accidentally start the lawnmower as you don’t need to physically plug in a cable and switch it on at the plug. However, all this has been thought about. 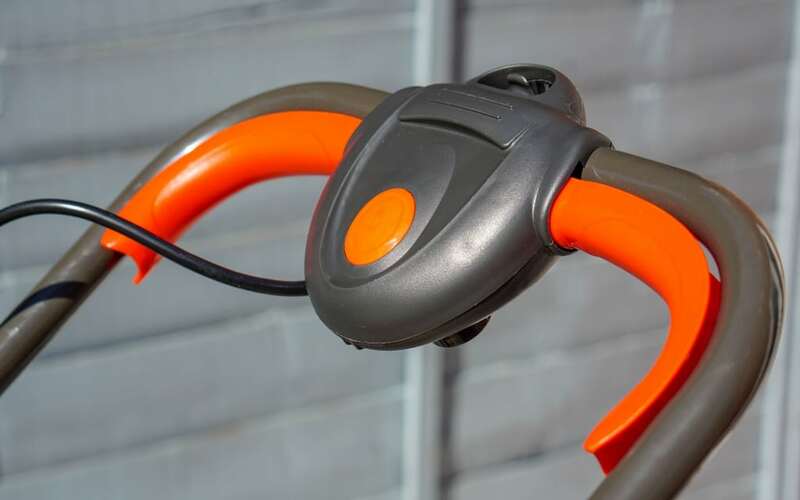 Once you have placed the battery into the Flymo you then need to turn the little safety key. This activates the battery and allows it to be used. However, you still need to go through a two-step button function to be able to start the lawnmower. Making sure you press the middle button the handle at the same time as you press the handles down. Then it will start. It took me a few times to get the timings of it correct so it does work well! How Well Does The Flymo Mighti Mo Cut? We’ve been very impressed by the performance of cut, at the end of the day the lawnmower can have all the bells and whistles but if it doesn’t cut well then it’s rubbish! Not this one, it performed really well on our first cut of the year. The grass was pretty long and it happily cut through this. 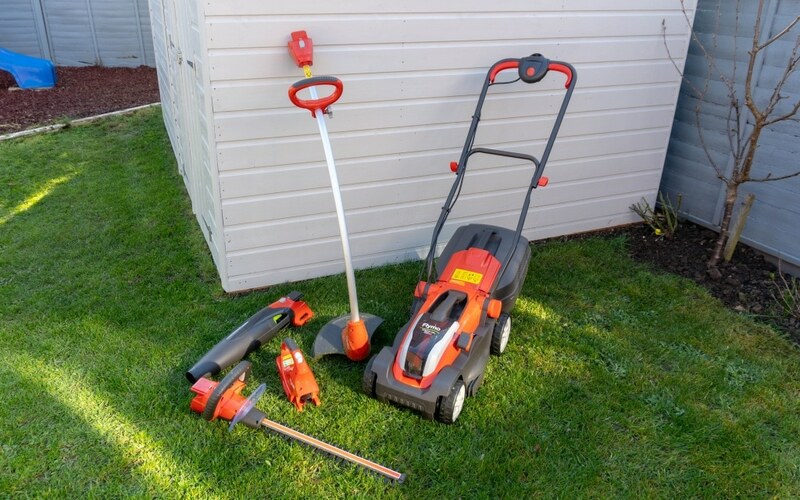 The Flymo Mighti Mo has a cutting width of 30cm and a choice of lengths between 25mm-65mm. This can easily be changed by using the lever on the side. It is very easy to use and goes up and down to adjust the height. 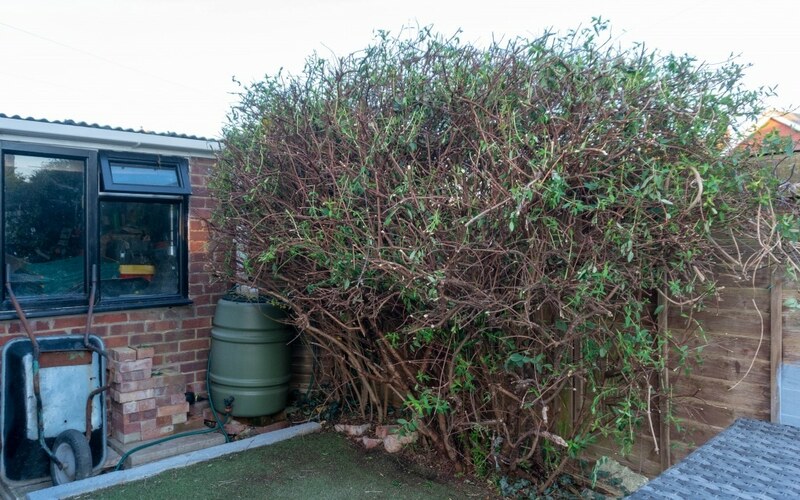 With a large 30-litre grass box you can collect a good amount of grass, with little holes on the side too you can see when the box is getting full. It was so easy to detach the grass box and empty. 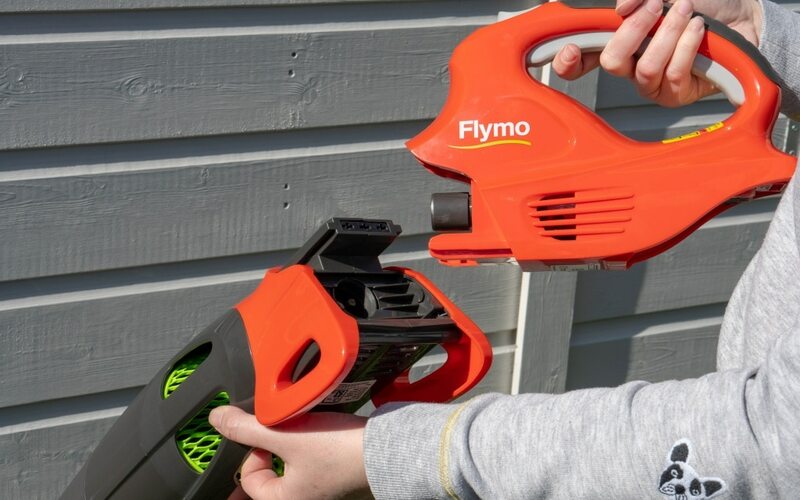 The Flymo Mighti Mo doesn’t cut right up to the edge but Flymo has now released a new cordless range to accompany the Flymo Mighti Mo which can help you tidy up the garden even more. 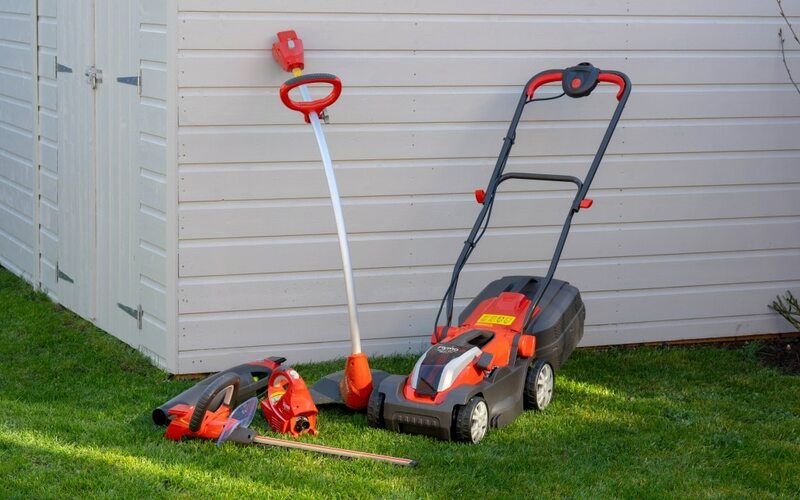 The C Link range includes a strimmer, blower and hedge trimmer. I was lucky enough to be able to try these out in our garden too. The C Link range has an interchangeable power head which will power all three items. 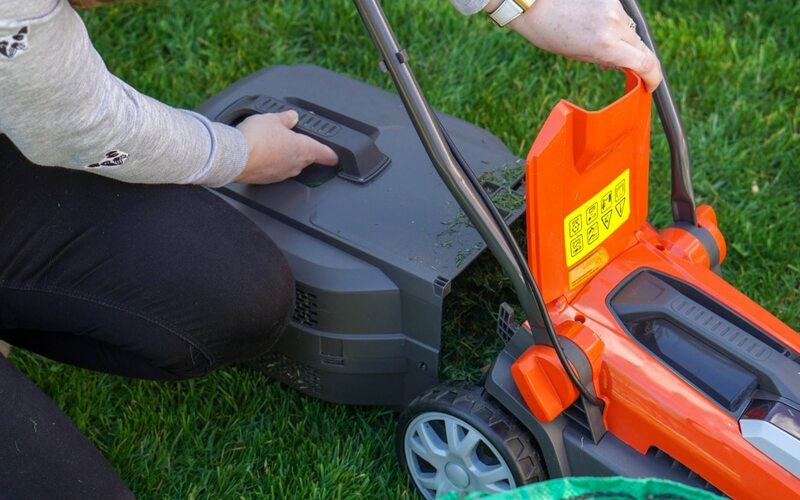 All you have to do is simply press the button to release the powerhead and then you can clip it onto the other one, so you can trim the edges, blow away grass cuttings and trim the hedges. 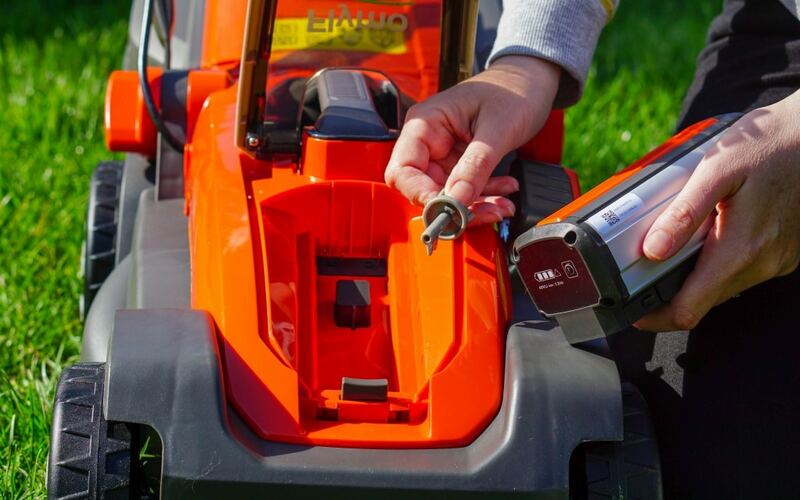 With two powerful 2.5Ah lithium-ion batteries included in the 3-in-1 combi pack, you have plenty of power to get on with all of your jobs around the garden. 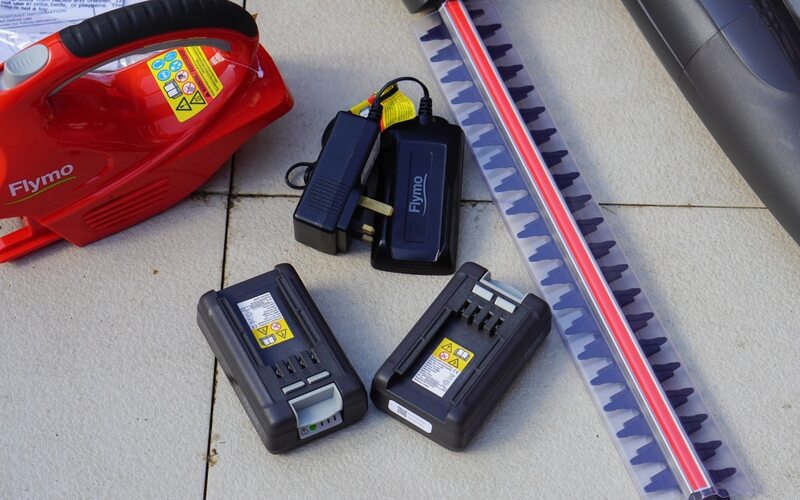 These batteries are also compatible with the EasiCut 20V Li, Sabrecut XT 20V Li and the Contour 20V Li. 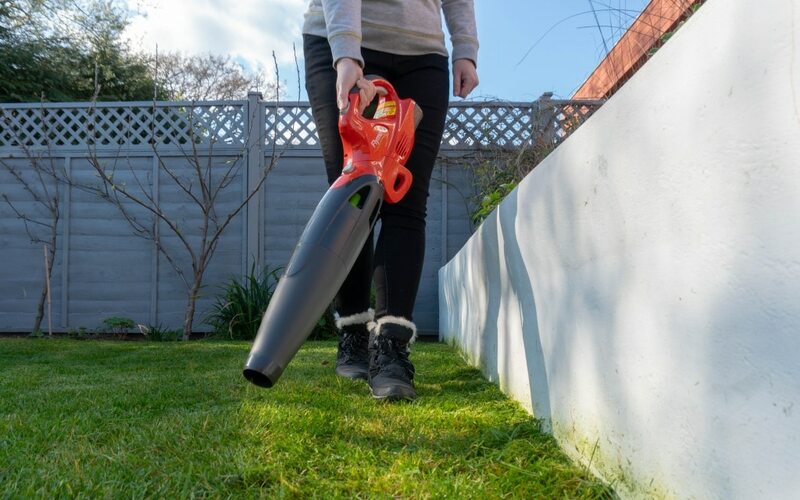 The Flymo cordless blower is going to be very handy when it comes to the autumn and it’s time to blow away the fallen leaves. It’s powerful enough with blow speeds of up to 129km/h to blow these into nice piles and it’s also good to blow the grass cuttings from our steps and patio area. It’s very very lightweight and very easy to use. We have a lawn that goes right up to our white planters and the grass needs to be trimmed all around these. So the Flymo cordless grass trimmer is perfect for this. With a 30cm cutting width, it’s perfect for this job and tidying up all around the edges. I’ve not used one of these before but I had no problems holding it as it’s very lightweight and with the handle halfway down it’s easy to control. It had no trouble at cutting through the long grass and it looked so much tidier after using this. I am so scared of these!! But not having any cables made me much more comfortable using it and I happily trimmed the hedge in the garden. Not having any cables to worry made the job so much easier and you had the flexibility to be able to move around freely. 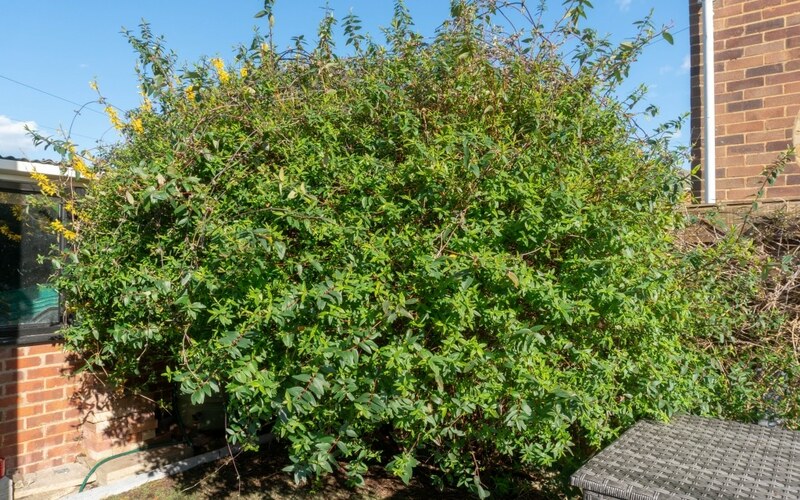 I found it pretty lightweight and it coped well with cutting the hedge and only struggled a bit on some thicker branches, but with a few more goes it cut them with no problems. The poor hedge but it really needed it and hadn’t been done for months. 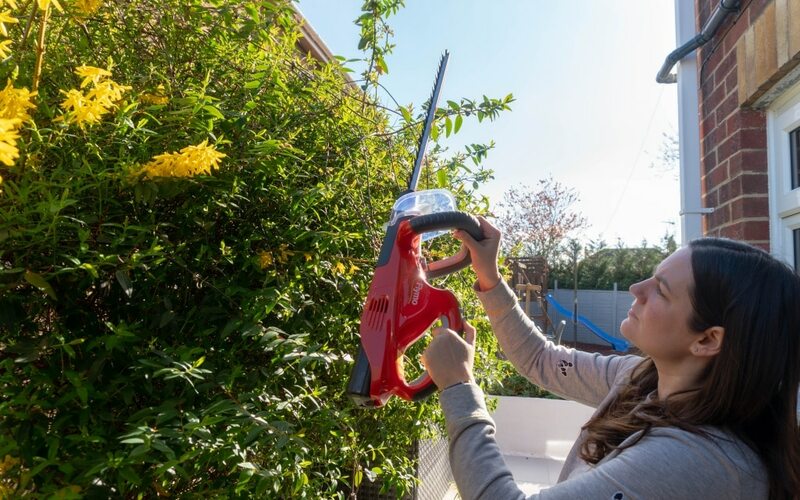 After using the Flymo cordless hedge trimmer I said I would be keeping on top of this more now, it’s so quick and easy to do and without a cable, I am no longer scared to use it! 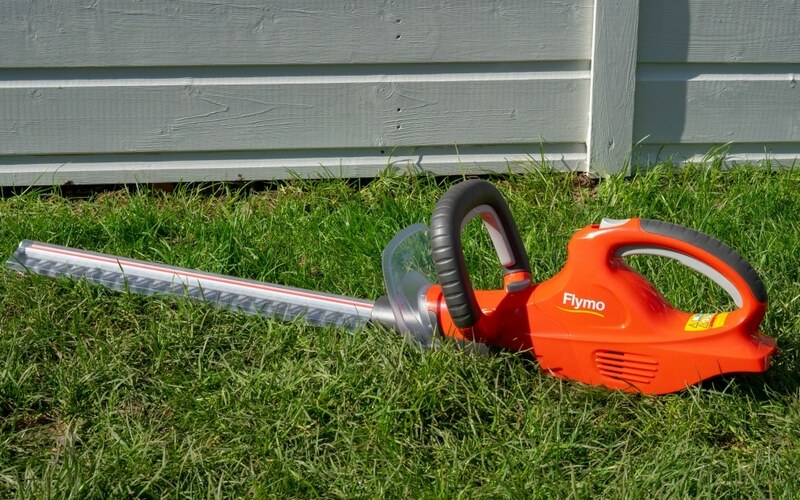 Flymo has priced the Mighti Mo at a good price point, on the Flymo website they have various places to purchase from but Amazon has been the lowest. 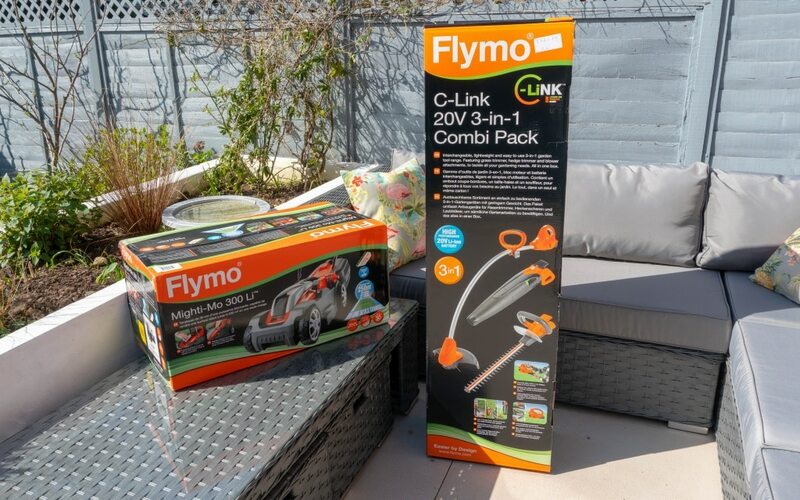 The C Link range from Flymo has various prices and it’s best to purchase the combo packs. See Flymos website for an up to date price. I am over the moon with these products, they’ve allowed me to be able to look after my garden myself and not add another job to Kevs list! Being super lightweight and cordless is a great combination and I can’t wait to carry on using them throughout the summer. *I was sent these products for the purpose of this review. All opinions are honest and of my own words. Yes this would fit the bill perfectly then! wow would love to get one, if I have house of my own. Cordless and lightweight sounds amazing. Makes things a lot easier doesn’t it! He would love this one then! 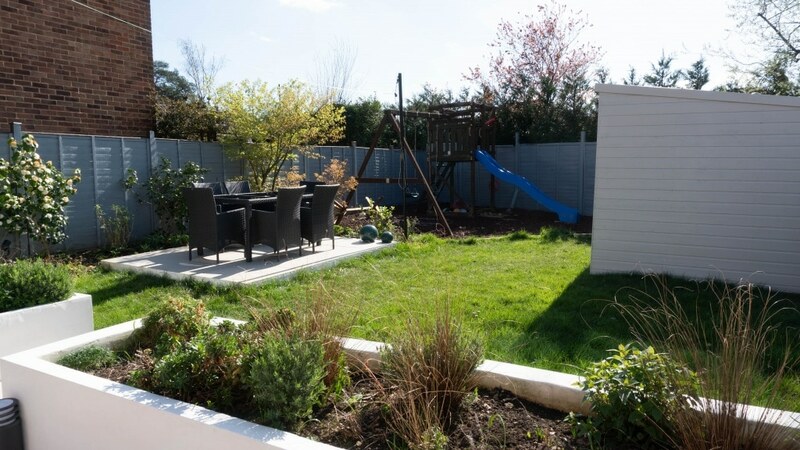 Lets hope we get some sunshine and enjoy the garden! I love the fact that it is cordless as like you I’m always worried about cutting electric cords! And, it looks as though it did a really good job of cutting your grass. Thanks, makes it super easy! We have a Flymo and love it! This one looks even better with it being cordless! I love having a nice garden but don’t always want to put the work in that it needs so any tools to make my life easier are a bonus for me. 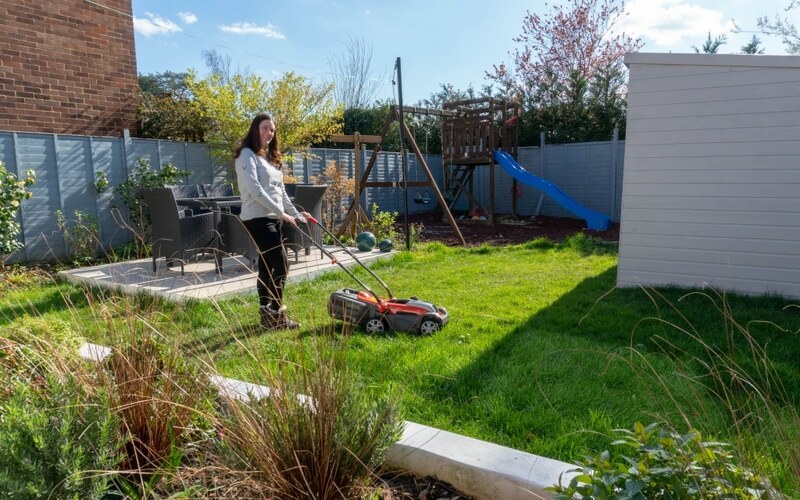 Our garden is on a hill, so the fact that this lawnmower is so lightweight is ideal as it’s hard to push it uphill at the moment with my current one. Ah yes, the light weightness makes such a difference and makes the job so much easier! Not having a garden, I have to admit I know nothing about lawnmowers. But I have watched a neighbour mow throw his lawnmower cord, so a cordless sounds like a good idea. Yes my Dad used to throw it all over the place making sure he didn’t cut it!! 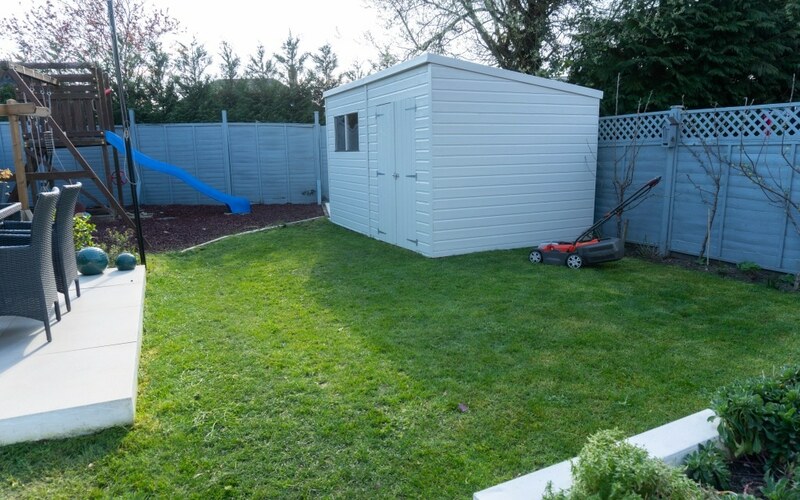 Now that I have a garden, I am definitely in need of a lawnmower, it’s not something I have thought about purchasing. The selling point for me on this is it’s cordless. 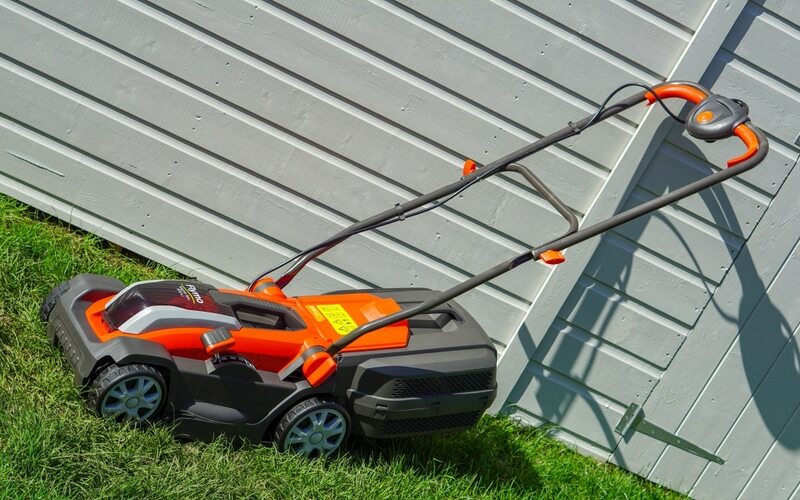 This looks great and cordless is SUCH a good idea for a lawn mower! I used to find the cord got in the way and it can be really dangerous if that happens! Yes it’s a worry isn’t it, I always remember my Dad stressing about the cable! This sounds perfect for you then, I couldn’t believe how lightweight this was and I am so weak! We are desperate for a new lawnmower this year. We haven’t had our first cut yet but I think it will probably be over Easter weekend. Hopefully we have a lovely Easter weekend weather wise, we’re due a good Easter I think! What a cool gadget to have around the house. Love your detailed review. Thank you, makes it much easier! Amazing that it is cordless, what a bonus. I always feel like the cord on our lawnmower gets in the way. This one looks lightweight and very nifty. It’s so lightweight which makes it so easy to use, I love it!